Palate: Rather full with a pleasant subtlety to the depths. Lurking somewhere in the substratum a grilled orange lies. Notes of granary toast and green tea with jasmine. A touch of sweetness. Notes: The expression that started it all for Highland Park. 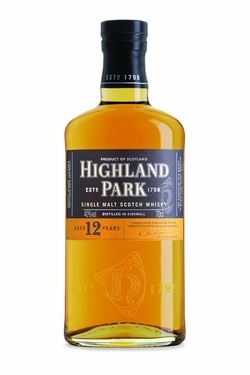 First introduced in 1979, the 12 year old is at the very heart of our core range and demonstrates rich, well balanced malty tones, with the subtle floral smoke which makes Highland Park such a distinctive single malt whisky.